The clinical application of the symptoms of this remedy, place it among the medicines for spasmodic and whooping coughs, and catarrhal conditions of the bladder; spasmodic pains in kidneys, with visceral tenesmus. Anuria, anasarca, ascites. Early morning or afternoon sadness. Suboccipital soreness; worse after sleep and exertion. Headache, worse from lying on back, better with the head high. Dull pain over right eye in morning. Sensation of a foreign body between upper lid and eyeball. Distress from cinders lodged in eye. Constant hawking from enlarged uvula; coryza, with inflamed fauces; accumulation of thick viscid mucus, which is expectorated with great difficulty. Tickling in larynx. Sensation of a crumb behind larynx, must swallow continually; brushing teeth causes cough. Fauces very sensitive. Suffocative cough; worse, first waking, with tough, white mucus, which strangles. Spasmodic morning cough. Whooping cough attacks end with vomiting of this tough mucus. Chronic bronchitis complicated with gravel; large quantities of albuminous, tenacious mucus, are expectorated. Walking against wind takes breath away. Sensation as if everything were pressed toward the heart. Urging to urinate; brick-red sediment. 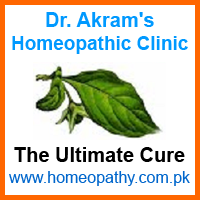 Urinary calculi, hematuria, urates, and uric acid; lancinating pains from kidney to bladder. Deep-colored, thick urine. Dysuria. Menses too early, profuse, black and thick; dark clots, with dysuria. Intermittent menstruation; flow only in evening and at night. Large clots escape when passing water. Labia inflamed. Worse, left side, after sleep, touch, pressure of clothing, brushing teeth, slightest exertion. Better, walking.